We are pleased to announce the outstanding faculty who will be presenting and participating in panels at the EIGHTH NATIONAL MEDICAL BANKING INSTITUTE: DESIGNING THE HEALTHCARE FINANCIAL NETWORK OF THE FUTURE, a global program underwritten by the newHIMSS Medical Banking Project! Join colleagues as we convene a roundtable of four key stakeholders (called "G7 Panelists") to define a better platform for managing our finite financial resources. We'll also review best practices in privacy and security as banks engage healthcare, learn about bank-enabled revenue cycle programs that are decreasing operating costs and hear about the emerging "health-wealth" paradigm that is transforming lifestyles in communities in America and around the globe. CEOs, CFOs, CIOs, IT executives, healthcare strategists, government officials and academic leaders, bank and healthcare compliance officers, senior healthcare and banking management, policymakers and regulators, investment bankers, researchers and educators, treasury management, lockbox and patient accounting executives, treasury management, marketing and sales executives and others. You wonât want to miss this exciting and informative event brought to you by the pioneers in the medical banking industry. Donât delay â register today! 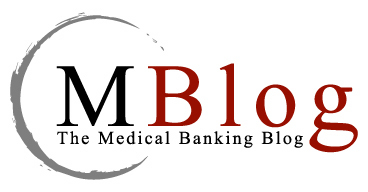 To learn more about the knowledge and benefits to be gained by attending the Eighth National Medical Banking Institute @HIMSS10 and to register for the event, click here.